This is good news for people involved in adoption today. 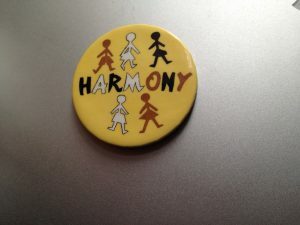 Apart from the only two multiracial families that we met in the North East of England, our support came mainly from the organisation called Harmony that we encountered when we moved to Leicester in the Midlands. Harmony was an organisation for multi-racial families whether by adoption, fostering or through mixed-race marriages. It was at Harmony gatherings in the 1980s that we learned a lot about skin care and hair care, It was a supportive forum where we could share information for example about books and toys that showed children who looked like our children. I have written about this before. So what is new nowadays? Training and information for families. See the Pac-UK site: Here below is information about help that is offered in schools in England. http://www.pac-uk.org/ “From April 2014, schools in England can receive the Pupil Premium for children adopted from care, or who left care under a Special Guardianship Order on or after 30 December 2005. Schools can also claim the Pupil Premium for children who left care under a Residence Order on or after 14 October 1991. The Pupil Premium is to help schools raise the attainment of disadvantaged pupils and close the gap with their peers. It is paid to schools in respect of disadvantaged pupils in Reception to Year 11. The Government has extended the coverage of the Pupil Premium in recognition of the traumatic experiences many adopted children have endured in their early lives and a realisation that their needs do not change overnight”. In April 2014 a group of multi-racial families in Cornwall has published an extremely helpful booklet in partnership with Barnardo’s. 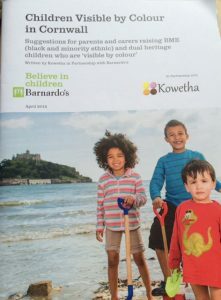 Kowetha is a pioneering community group of parents and carers living in the West of Cornwall who are raising BME and dual heritage children who are ‘visible by colour’. 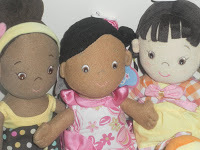 How a child’s racial heritage influences their childhood experiences in Cornwall. The importance of moving beyond ‘colour blindness’ and positively educating children in Cornish schools about racial diversity. How schools and agencies might recognise and support the unique social pressures experienced by children who are visible by colour, thus meeting their duties under Ofsted. The advice, information and shared experiences are applicable for all multi-racial families wherever they live . I can heartily recommend it. I’m just curious, why do white parents want to or go out of their way to adopt black children?? When I see movie stars with black children it often makes me wonder do they know HOW to raise a black child? I don’t know about today. I don’t imagine many inter-racial adoptions are arranged by social services in Britain. The situation is different now. We responded to appeals in the late 1960s for families interested in adopting mixed-race children, as a disproportionate number of such children were growing up in Children’s Homes. We had to learn a lot about being a black child in society and how to bring up a child to feel proud of its heritage. As I mention somewhere in the blog, our eyes were opened to realities when our first adopted son was about 18 months old. We received a paper from a conference in Canada and it alerted us to the many pitfalls to avoid. It was the Church Adoption society that sent us this information and we were forever grateful.